Just imagine the scenario… your carpet is looking a little shabby so you decide to call in the services of a professional carpet cleaning company. However because they’re very much in demand they can’t come for another week, but in the meantime you’re having a family get-together to celebrate your silver wedding anniversary. In order to avoid embarrassment you need to give your carpet a little ‘first aid’ treatment to tide you over. With this in mind, just how do you hide those hideous carpet stains until professional help arrives? 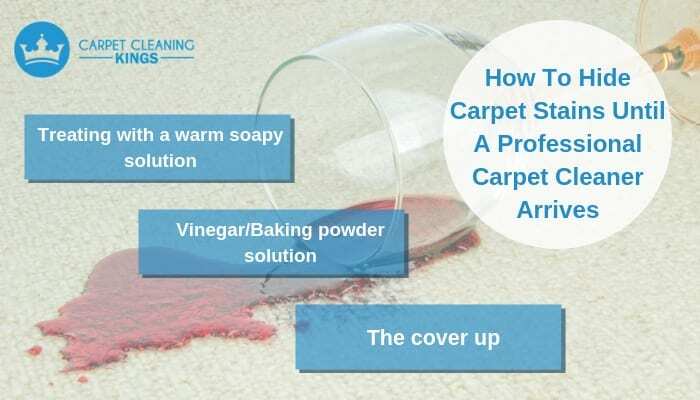 If your carpet has areas of dark patches where dirt has collected to surface stains you may want to try treating it with a little warm soapy water. Be advised though that care needs to be taken. Too much water and you could damage the carpet, so use just enough so as to damp a cloth and more importantly blot the stain never rub. 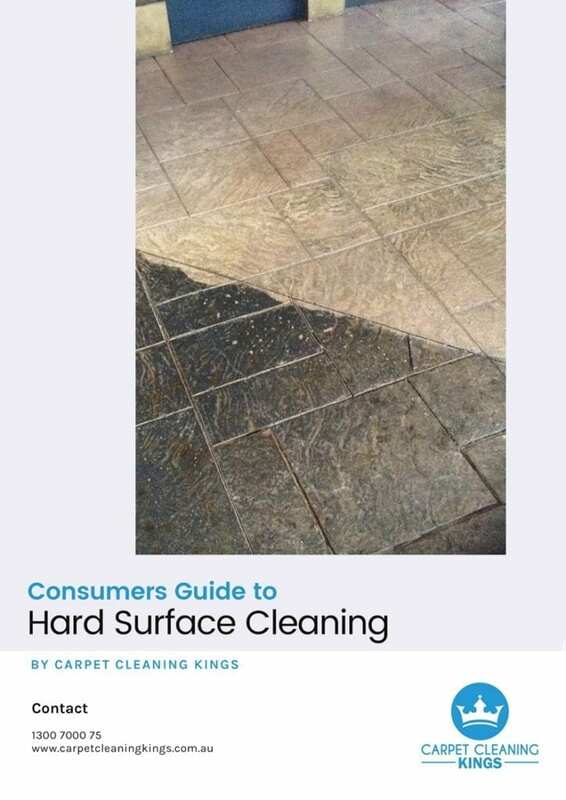 It probably won’t be sufficient to remove a deep down stain, but it might be sufficient to temporarily shift any darker dirt patches that have collected on the surface. Natural ingredients such as vinegar and baking powder have long been a well known eradicator of a variety of carpet stains. So this probably comes as nothing new, but here’s a neat trick you mightn’t know. Firstly spray the old stain with a mild vinegar/baking powder solution. Then lay a damp lint-free cloth over the top. Then using a household iron with the steam setting on, iron over the damp towel pressing lightly. Lift the towel up and most of the stain should appear on the underside of the towel and no longer on your carpet. A word of advice – if you are going to do this make sure that your carpet is pretty durable and not an expensive Persian rug . You could be doing more harm than good. 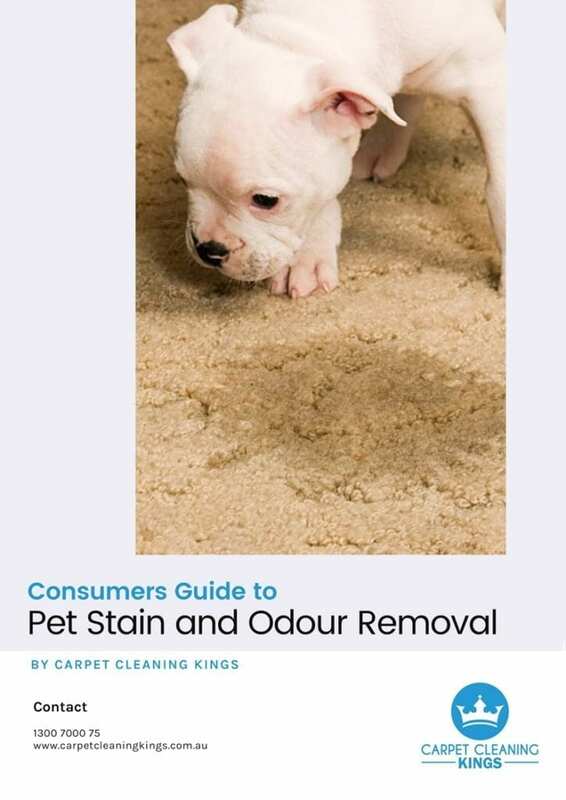 Finally, if those two methods fail and you’re still left wondering how you can hide your carpet stains until the professional carpet cleaner arrives, there’s always the cover-up. It’s understandable that many stains occur near where coffee tables, sofas and chairs are positioned. Moving the coffee table or sofa in one direction or another to hide the stain mightn’t be such a bad idea. If you tell your guests you’ve decided to have a change around, they’ll be none the wiser and your stains will be out of sight. However, what about if your carpet stain is sitting smack bang in the middle of your carpet for everyone to see? The answer? Try a scatter rug. Again you might be complimented on your styling and of course the stain is hidden out of sight. Finally, if you have a light coloured carpet, then as a last resort you can try covering the stain with some talcum powder. This really is only a temporary resort, but it might just be sufficient enough to get you through your celebratory evening without any cause for embarrassment. So there you have it, 3 trusted tips to help you hide your carpet stains until the carpet cleaner arrives. 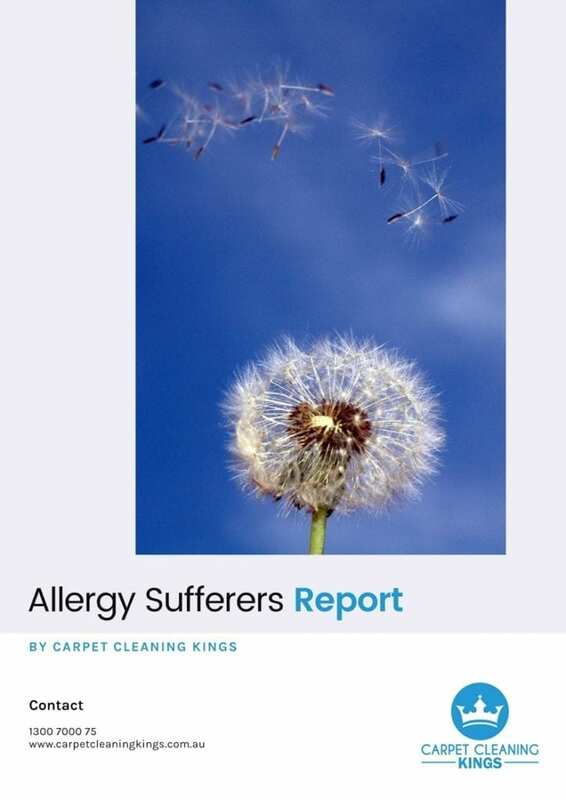 If you feel it’s about time you gave your carpet the treatment it deserves then contact Carpet Cleaning Kings. 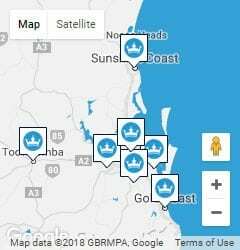 Covering Brisbane and the surrounding areas, we’ve been in the industry for many years. 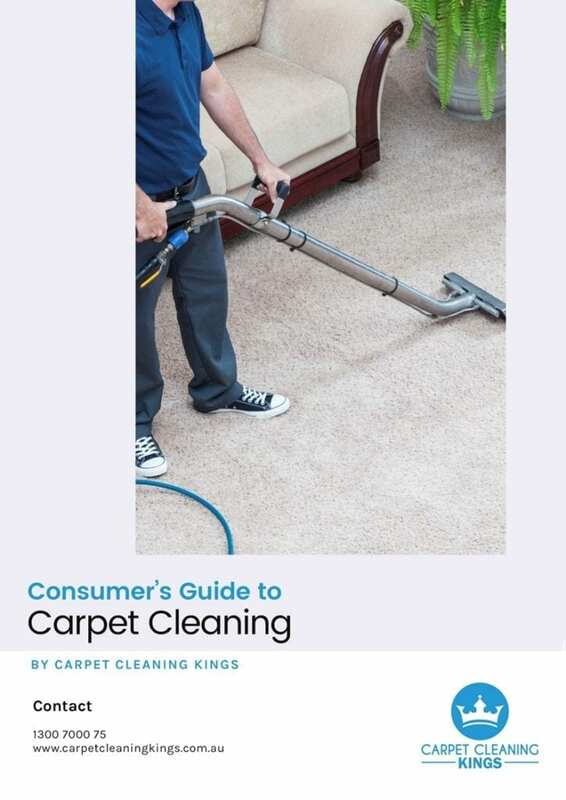 As such we know how to get the very best out of your carpet using a mixture of the latest equipment, technical know-how, and attention to detail. For a free, no-obligation competitive quote, contact us today on 1300 7000 75.